Where this RV has been in the last two years. 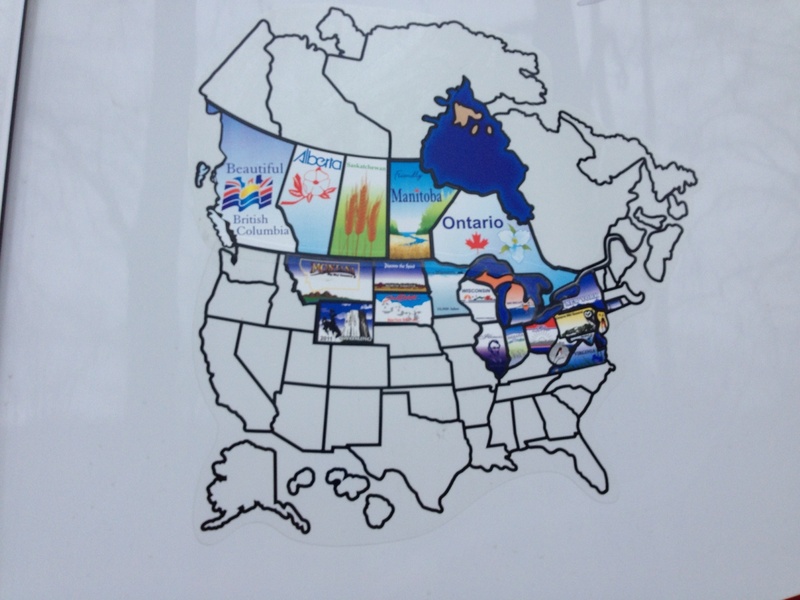 Our daughter gave us this map for the side of the camper, and we fill in the states and provinces we visit. 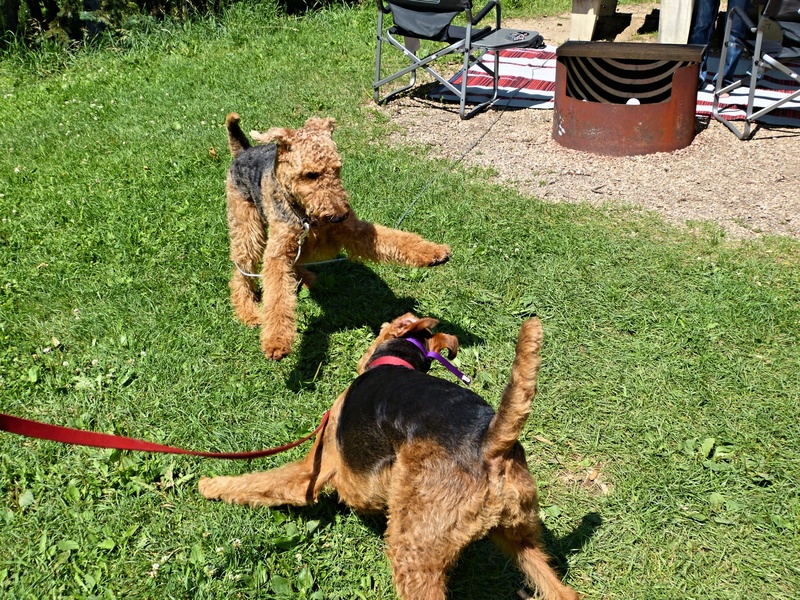 Our plan is to visit New England and the Canadian Maritimes this summer! We plan to leave tomorrow once preparations are complete and drive to Vermont. We are leaving a bit earlier than expected, and I am now scrambling to get everything done . Woolly Bear remembers friends he met on last summer’s adventure. Woolly Bear is ready for some fun!!! And so are we. Thanks for following along! This entry was posted in Uncategorized on July 31, 2013 by Ramblin' Rose. There are few things I enjoy more than leaving early in the morning for an extended road trip/adventure! Enjoy your travels! Carrie, I love a road trip as much as you! Lots of promise, some surprises, and new adventures at every turn. Thanks so much for reading my blog and taking time to comment! I am so happy you are using the map! I remember when we traveled out west when I was little I always admired the campers with the state stickers! I loved to study how the people might have traveled to get from one place to another! Shannon, the map is a great idea! And so colorful- they’ll be the hit of every campground. Thanks, Bonnie. I had to argue with Charlie to put the map on the camper. He kept suggesting it reside in the glove box:) and we do need to fill Massachussetts in! What a perfect giftvfrom Shannon! Love the map! How exciting it will be to follow along and see new states being filled in! Have a great adventure! Shannon has told me about the ambitious tour you have planned. I’m so happy for you. The educational world is going to miss you though. Kristen H.
Hi Kristin. Thanks for reading my blog! And good luck with your new administrative position!!! And so the summer 2013 adventure begins. Safe travels and have a great trip! Wendy, I am hoping you guys can catch up with us sometime this August. I am forwarding you the itinerary I gave Shan! We would love to see you and Dave.